Cold Case: who killed Rasheeda Muhammad? Baltimore City Homicide Detectives hope someone can help them close a cold case. 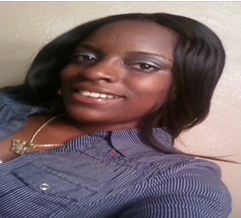 On September 18, 2012 Rasheeda Muhammad was found suffering from a gunshot wound along the back of 500 North Gay Street. She later died from her injuries. She was 26-years-old. If your tip to the Metro Crime Stoppers hotline leads to an arrest and charges filed in this case you may be eligible for a reward of up to $4,000. If you have information call Metro Crime Stoppers at 1-866-7-LOCK UP. Or submit a tip here.